The prototype door latch lock plate that goes on the rear door post. 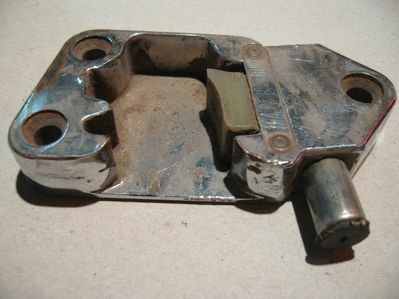 Note the spring loaded piston that pushes the door open after its released from the latch assembly. Double click on any picture to make comments or ask questions.